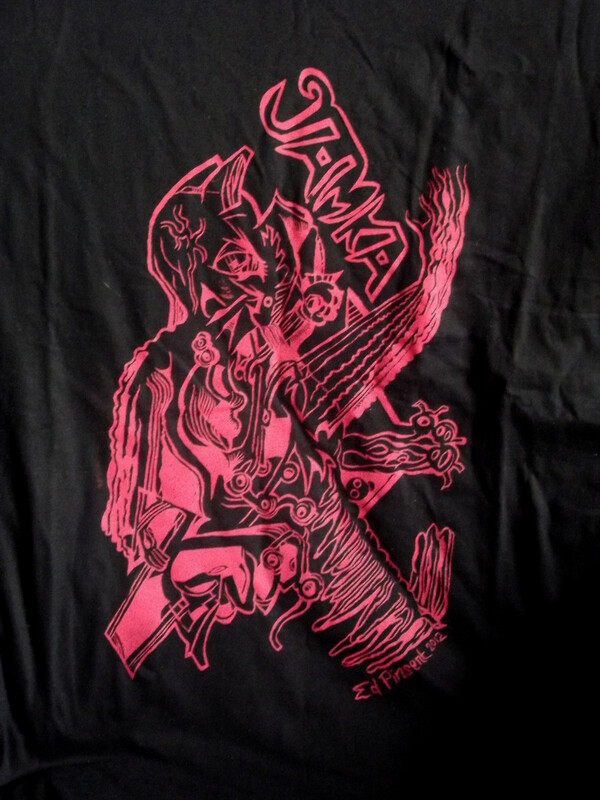 Limited edition T-shirt which I drew this year for the Slovakian electronics duo Jamka. This is my first T-shirt design and I’m very pleased with how it turned out. News should be appearing on Jamka’s site soon, with details of how you can buy yours. G Johnstone is one of my most loyal readers. 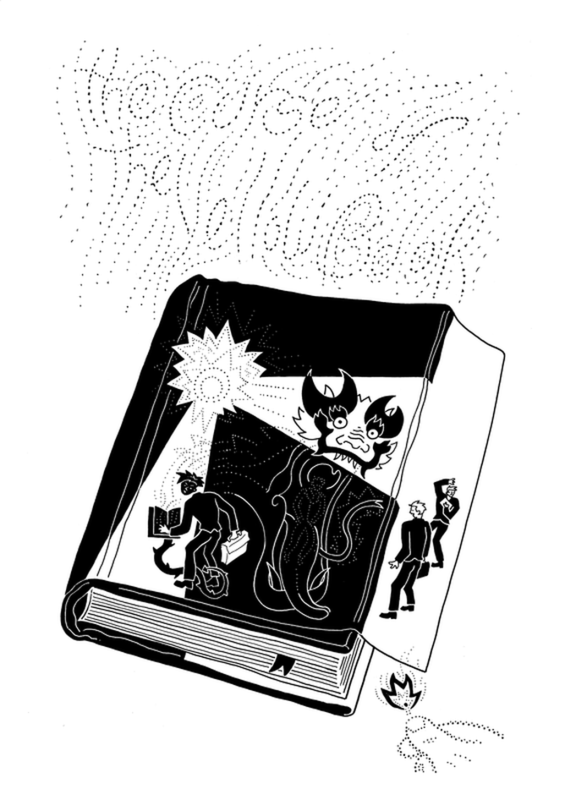 We’re pleased to note he has a new website where he’s developing a new full-length work called Curse of the Yellow Book. We first saw Johnstone’s work in 1982, when his two-page Camus experiment was first published in the Scots zine Aka (I think issue #7; covers can be seen here. The editor Bob Napier also published a text analysis of the strip, which as it turned out was a bit of a mickey-take, but the target of the satire was pretentious critics, rather than Johnstone’s work. Johnstone went on to edit his own compendium of comic art, called Dead Trees. Chris Reynolds goes digital…computer lettering, digital colours and airbrush effects in his new comic book Planet 4. Described as “meditative science fiction”, the story features Monitor revisiting an old planetary haunt and experiencing many bittersweet and conflicting emotions. As ever, Reynolds imagines and visualises some astonishing tangible details, poised between the banal and the beautiful, and renders them in bold outlines with superb, restrained colours. More than ever with the work of this genius, each panel is a painting. Planet 4 is published on Smashwords. Found some more A4-sized zines to scan into the galleries. This upload includes the remaining issues of ZUM!, the UK small press review zine of the 1990s; plus most of my collection of Savage Pencil comix. Links below. Starts today. 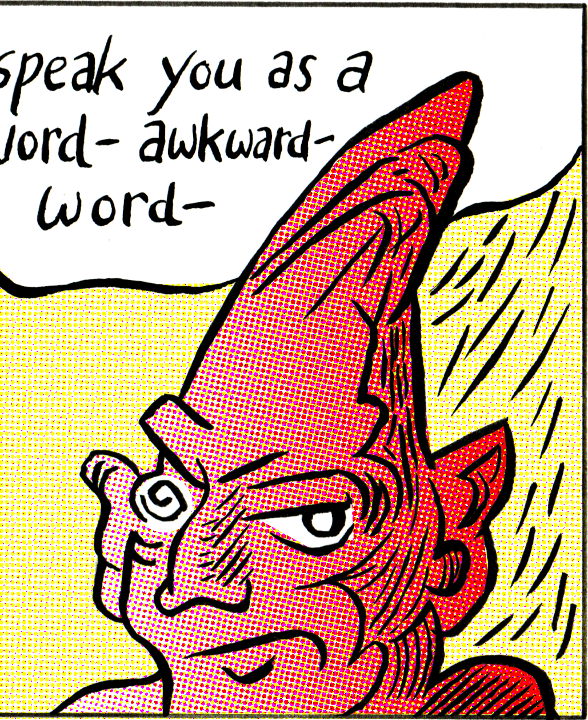 Ramollo-Speak, a 15-page comic from 2003, and the last installment in the Ramollo cycle of stories. Once again Illegal Batman looms large in the picture. 15th August update: story now fully online, plus explanatory notes. 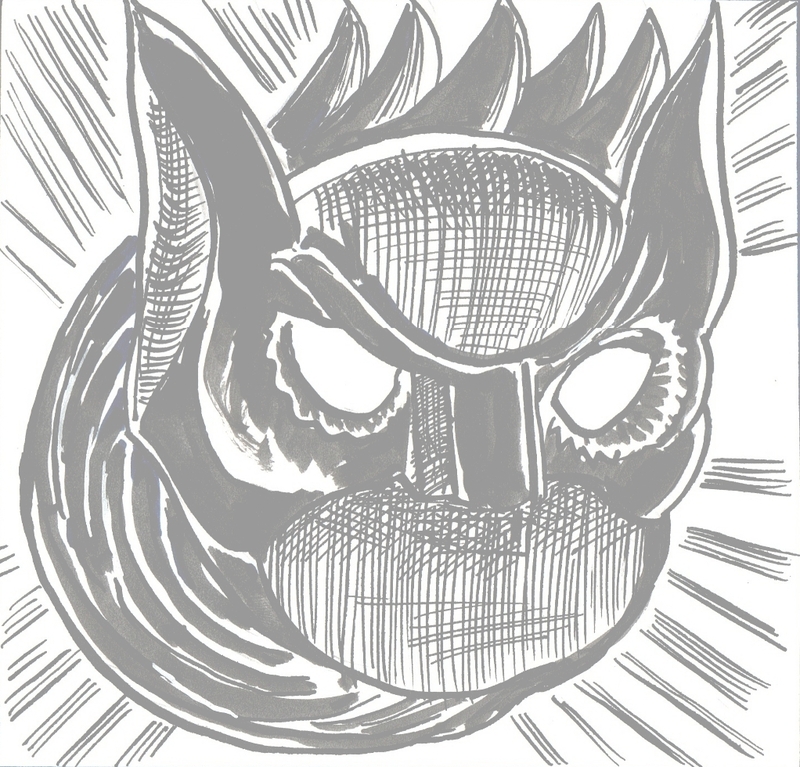 Batman copyright and trademarks are owned by Warner Brothers and DC Comics. Ramollo-Speak was written and drawn by Ed Pinsent in 2000-2003 and is a work of fan art offered free of charge to my readers. Please direct any questions to the artist. Eze Chimalio is A Nigerian artist, filmmaker and avant-garde jazz trumpet player. Russell Willis flips through the pages of his collection of Fast Fiction zines, with added commentary. The great Chris Reynolds has a new website dedicated to his Cinema Detectives series. From here you can purchase new Cinema Detectives stories for your Kindle. Rosa Pleck tracks down Gan at Sheffield Hallam University and is puzzled by the sight of a large egg sitting on the stairs of the halls of residence…and that’s just the opening pages! Essential reading!